For skunks, it’s the smell of love as male skunks seek females during mating season. 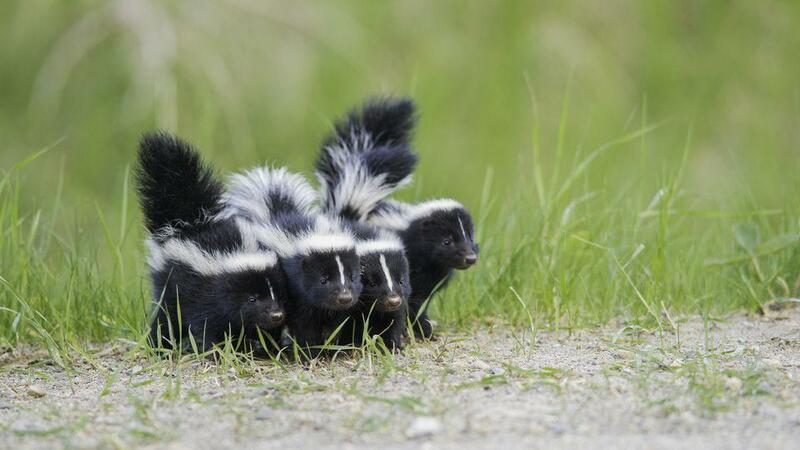 For the rest of us, it’s the unmistakable scent of skunk spray – an aroma that reminds us skunks are close by. And that close proximity increases the risk of rabies. Mating habits vary slightly based on the age of the female, but as a general rule the skunk mating season ranges from February through March annually. The Contra Costa Mosquito and Vector Control District (the District) provides inspections and assistance to reduce the likelihood that humans come in contact with skunks because they have the ability to transmit rabies. Here are 10 tips to make your yard less attractive to these amorous animals. Keep garbage cans tightly secured without any exposed garbage. Discontinue or remove bird feeders at ground level and remove excess spillage. Remove pet food and water dishes and store animal feed in secure metal containers. Remove all fallen fruit from the ground. Treat lawn areas to eliminate grubs. Thin or remove heavy vegetation or low growing ground cover; remove debris piles, and prevent skunks from entering compost piles. Replace or reinforce vent screens around home and secure outdoor crawl space doors. Secure pet doors at night. Install 1/2 inch galvanized hardware cloth around decks, sheds, and home foundations. In spite of your best efforts, if a skunk makes a den on your property, contact the District for an inspection and assistance. Upon the first visit, the technician will inspect the property to determine if a skunk has taken up residence and make recommendations in accordance with the California Fish and Wildlife code. For more information on the District’s rabies risk reduction program, visit our website. This entry was posted in Vector Control. Bookmark the permalink.